A former Minister of State for Finance, Senator Nenadi Usman, has asked Justice Muslim Hassan of the Federal High Court in Lagos to allow her to be tried separately from a former Minister of Aviation, Chief Femi Fani-Kayode. 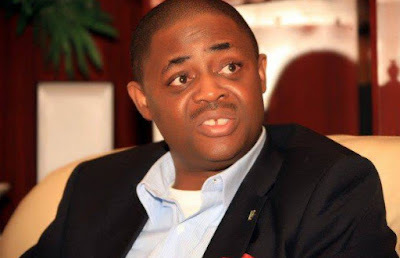 The Economic and Financial Crimes Commission charged Usman and Fani-Kayode with an alleged fraud of N4.9bn. The other defendants in the charge are one Danjuma Yusuf and a company, Joint Trust Dimensions Nigeria Limited. The defendants were arraigned before Justice Hassan on 17 counts on June 29, 2016. Trial in the case had commenced on October 21, 2016, with the EFCC calling its first witness, Idowu Olusegun, a media consultant. At the resumed proceedings in the case on Tuesday, Usman’s lawyer, Mr. Jelili Owonikoko (SAN), pointed Justice Hassan’s attention to two pending applications filed by his client. One of the applications, Owonikoko said, was praying the court to allow Usman to be tried separately from Fani-Kayode and for her trial to be transferred from Lagos to Abuja for convenience. Owonikoko said his client was apprehensive that she might not get justice if she was jointly tried with Fani-Kayode. “We are concerned about the joint trial of the first defendant (Usman) with the second defendant (Fani-Kayode),” he said. He said it was inconvenient for his client, who lives in Abuja, to be travelling to Lagos to stand trial. He said it became even more difficult for the former minister because all her bank accounts had been frozen, adding that for each court appearance, she would fly to Lagos a day before, lodge in a hotel and return to Abuja the day after the court trial. The Senior Advocate of Nigeria told the court that Usman, in the second application, prayed for the release of her passport to enable her to travel abroad for medical treatment. Fani-Kayode’s lawyer, Mr. Norrison Quakers (SAN), also filed an application, urging Justice Hassan to excuse himself from the case because the judge was once a prosecutor with the EFCC. Justice Hassan adjourned till Wednesday (today) to hear the applications.